File photo of U K Sinha . New Delhi: The Securities and Exchange Board of India (Sebi) has embarked on a restructuring drive for the various advisory panels that help it frame new regulations in different capital market segments, such as IPOs, mutual funds and secondary market trading. The capital market regulator reconstituted its Primary Market Advisory Committee (PMAC) last week and is currently in the process of restructuring some of the other existing panels and might also look at setting up some new committees. The official said that the panel restructuring drive is also being seen as part of a process that began with change in the top leadership position earlier this year. 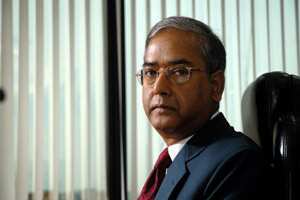 U K Sinha took over as the new Sebi chairman in February 2011, while there have also been many changes in senior positions like executive directors and Sebi Whole-Time members, as also that of the nominated members since then. As many as six panels have been either constituted or restructured since Sinha took over as Sebi chairman from his predecessor C B Bhave. These include advisory panels on primary markets, mutual funds, secondary markets, corporate bonds and securitization, consent orders and compounding of offences and the Sebi Committee on Disclosures and Accounting Standards (SCODA). The new Primary Market Advisory Committee would be chaired by T V Mohandas Pai, formerly with IT giant Infosys and currently chairman director at Manipal Universal Learning. Besides the panel would have members from stock exchanges, investor associations, corporates and other financial institutions among others. The panel would advise Sebi on issues related to regulation and development of primary market, on legal steps required to introduce simplification and transparency in systems and procedures and on regulation of intermediaries for ensuring investor protection.